The All Progressives Congress (APC) Presidential Campaign Council has distanced itself from the Buhari Campaign Organisation (BCO) over a letter the latter wrote to the European Union (EU) and the African Union (AU) seeking to stop Alhaji Atiku Abubakar from challenging President Muhammadu Buhari’s victory in the February 23 presidential election. Atiku, the defeated presidential candidate of the main opposition Peoples Democratic Party (PDP), had over the weekend inaugurated his legal team whose mandate is to make the courts reverse President Buhari’s victory in the poll. The former vice president had after the declaration of Buhari as the winner of the February 23 poll, alleged irregularities and massive rigging of the election by the President’s ruling All Progressives Congress (APC). 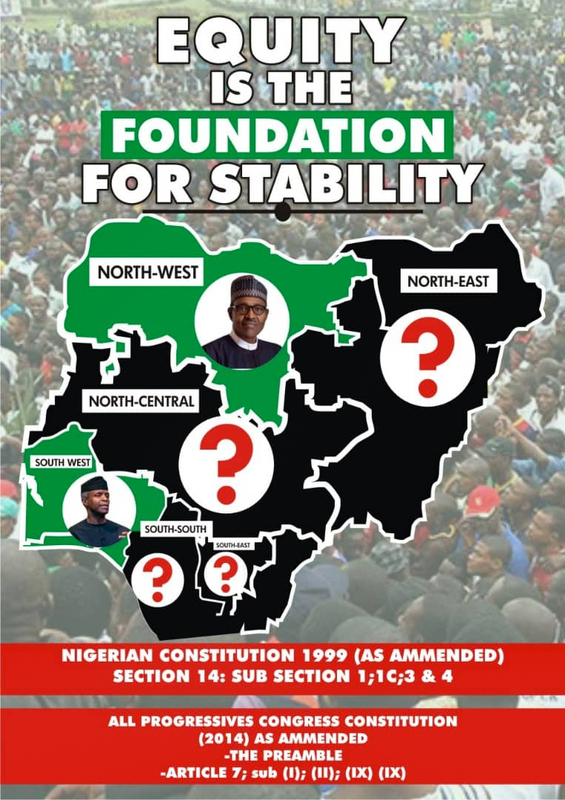 The Independent National Electoral Commission (INEC) had on February 27th declared that President Buhari polled 15.1 million votes to defeat the PDP presidential candidate who scored 11.2 million votes. The result was however rejected by Atiku who after the declaration, called a world press conference where he announced his decision to go to court. 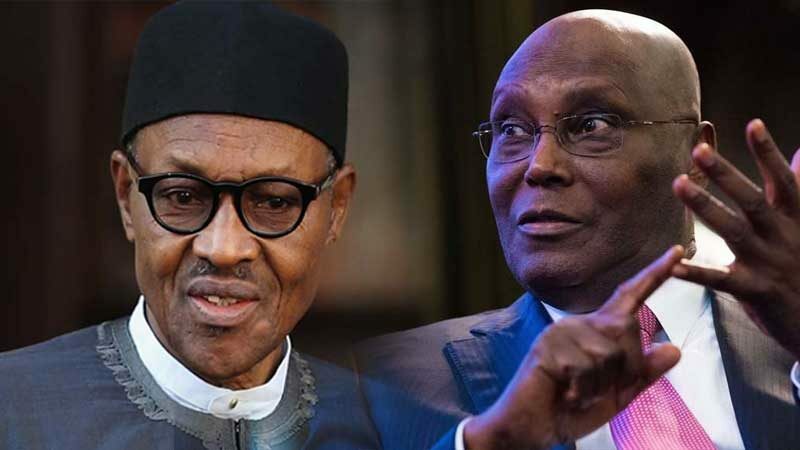 In the letter, the Buhari group asked the EU and AU to call Atiku to order: “We deem it fit to draw your attention to this brazen attempt to frustrate the democratic process, hoping that you will intervene by calling the PDP and its presidential candidate to order and ensure that the tenets of democracy are adhered to in the ongoing electoral process in Nigeria. “Nigeria has, in the past witnessed enough shedding of the blood of innocent Nigerians. If Atiku wants to help Nigerians, he should work with the Buhari-led government for a prosperous nation. He should not set Nigeria aflame with his inordinate ambition and insatiable thirst for power,” said the group. But reacting to the outrage that trailed the Buhari group’s letter on social media, the spokesperson of the APC presidential campaign council, Festus Keyamo, issued a statement dated March 5, where he distanced the council from the group. The statement reads, “Our attention has been drawn to some news item and posts on social media reporting that we wrote a letter to some international bodies to prevail on Alhaji Atiku Abubakar not to proceed to court to challenge the result of the 2019 presidential election. “Our investigation reveals that a letter to that effect was purportedly written by a certain ‘Buhari Campaign Organisation’. This is the second time we will be informing the public that the said ‘Buhari Campaign Organisation’ does not act at the behest of the APC Presidential Campaign Council nor does it represent the Muhammadu Buhari Campaign Organisation in any way. As a result, whatever it has released DOES NOT REPRESENT THE POSITION OF THE APC PRESIDENTIAL CAMPAIGN COUNCIL OR PRESIDENT MUHAMMADU BUHARI. “Our official position is that we believe that Alhaji Atiku Abubakar has a constitutional right to seek redress in court and we do not seek in any way to curtail that right. “In fact, it is the resort to court that is the only democratic way to ventilate his perceived grievance and any attempt to restrict or discourage the exercise of such right would be an invitation to anarchy,” the campaign council said. Keyamo said the APC presidential campaign council is indeed eager to meet Atiku in court to prove to the world that the former vice president lost the poll. “In addition, we are very anxious to meet Alhaji Atiku Abubakar in court in order to show the world in a conclusive manner the free and fair nature of the comprehensive defeat of Atiku at the polls. An election is not termed ‘rigged’ only by the mere claim of it by the loser. That is what Atiku and the PDP want to ram down our throats. “Unfortunately for them, international, continental and sub-regional observers (who can be seen as neutral by all standards) all declared the election to be free, fair and credible. No ego-massaging narrative can change that.